Grammar is the way in which words are put together to form proper sentences. Grammar is the system of a language. People sometimes describe grammar as the “rules” of a language. Grammar can help you to learn a language more quickly and more efficiently.” It’s important to think of grammar as something that can help you, like a friend. When you understand the grammar (or system) of a language, you can understand many things yourself, without having to ask a teacher or look in a book. So think of grammar as something good, something positive, something that you can use to find your way – like a signpost or a map. We have covered important grammar topics for ENGLISH, MARATHI and Hindi language subjects. 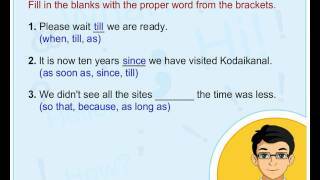 These topics explain all the basics of grammar and helps kids understand language subject matter. 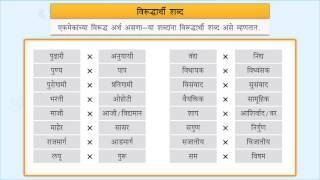 You can select any standard pendrive for these grammar topics or can select your pendrive only for grammar topics. These can be also studied on our EDZAM App.